Of course it is, but how can I keep my mind focused? The people at Mentally Charged have developed a complete program built around that seemingly simple but elusive goal. 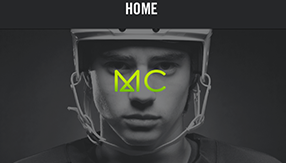 Mentally Charged uses a mobile app to deliver rich-media content that has been curated by professional athletes and industry experts. The idea is to provide guided training sessions and content that will improve an athlete’s mental health. Users can open the app to watch skill-specific videos, listen to informative audio clips, and read motivating articles. They receive instant notifications with tools, tips and strategies that can improve your mental toughness. You can view some of the content on the Mentally Charged website and download the free iOS app in the iTunes App Store.